VAZTECH Supplies & Services Corp., registered with the Securities & Exchange Commission on 24 April 2012, CS 201207753, is the natural outcome of the evolution of D2 Vazquez Builders Supplies & Services, registered with the Department of Trade & Industry in November 2006. Ephraim Lyndon G. Vazquez is former President and Owner of D2 Vazquez Builders, and now the President of VAZTECH. 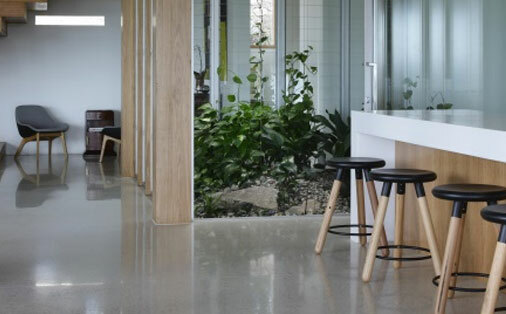 A polished concrete floor is a concrete floor that has been diamond ground and then treated with a chemical densifier before progressively polishing with finer diamond polishing tools. The diamond grinding tools are usually sequenced in grit levels of diamonds and polishing pads which are specifically designed for polishing concrete. 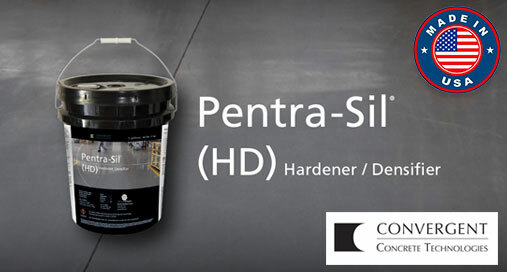 Pentra-Sil (HD) is a premium lithium polysilicate performance densifier for concrete surfaces. This high solids formula provides maximum hardening to improve abrasion resistance and reduce dusting. This easy-to-use water-based solution requires rinsing and is VOC complaint in all areas of the world. When sprayed in new or existing concrete, it penetrates up to 1/4 inch (7mm) where it reacts with free calcium to form insoluble calcium silica hydrate, which makes concrete more water, stain and abrasion resistant for easier maintenance and longer life. It is also suitable for concrete polishing procedures and helps prolong the life of polished finishes. Increased Light reflectivity by 75% for energy savings. Vehicular tire wear is minimized. Long lasting matte to glossy finish. Does not peel or flake. Comes in different granularity finishes. Reduced tire marks; can be easily removed with neutral cleaner. Reduction in upkeep – does not require any waxing, stripping to maintain the sheen. Reflectivity and ambient lighting will reduce the energy bill. Floors can be used immediately after application, no downtime necessary. Reduces Tire Wear leaving minimum tire marks on the floor surface. Strengthens new and old concrete surfaces by over 50%! Outlasts epoxy and urethane topcoats. Eliminates efflorescence, preventing dust emissions. Excellent penetration for more permanent protection.